(This is the third in a series of items which begun with The Raw and The Cooked and continued with From Honey to Ashes). When a rule of etiquette first appears in the historical record, it enters as a corrective, not yet a norm: an instruction to use a knife and a fork indicated that people were eating without the use of knives and forks; an injunction against unpleasant noises indicates that meals were once taken in the company of conspicuous sounds. It's actually the other way 'round with composing. Our rules of etiquette, found in treatises by Fux and Morley and Schenker and Hindemith and dozens of MacHoses and others even more deserving of obscurity, have to be read — if read at all — as invitations to misbehave: every rule represents a path not taken, but damn likely a path worth revisiting if we are at all to move forward. The etiquette for table manners is all about ever-more narrowing the range of possible behaviors; the etiquette of composition, in contrast, is all about expanding the range of possible behaviors; the composer's task is to make a convincing case, within a piece of music, for doing something that was previously forbidden. I believe that Krenek's little book was very important in transmitting just enough practical information about Schoenbergian technique into the community of working commercial composers that at least some aspects of the technique became permanent staples of the film music menu. Suspense? Angst? Krenek's little book had a usable formula for accompanying scenes of extreme emotional content. Revisiting the Krenek after all these years is, as one might expect, a curious experience. To be honest, part of the curiosity comes from the vague familiarity of reading a book I encountered in English as a teenager now in German and with a more substantial exposure to the repertoire behind me. But the larger curiosity comes from the sense that there is now nothing particularly urgent about the 12-tone or serial projects and there is now substantial and useful distance in any re-reading. In particular, it has become clear that Krenek was working at a now-distant juncture between method and style and that many of the "rules" he presents (restricting the repetition of pitch classes to the same octave, for example), can emerge, with the benefits of hindsight, as much less essential — when not altogether unnecessary — and deconstructing (if you'll pardon my po-mo) the theory to recover the underlying style (or vice versa) is not uninteresting and — may be/kind of/sort of/possibly/absolutely not — of compositional interest. In contrast, Henry Brant's Textures and Timbres: An Orchestrator's Handbook needs no deconstruction as he is absolutely upfront and candid about the nature and limits of his project, which is restricted to balancing and mixing instruments. His recipes for homogenous and well-balanced combinations can be used as is, or, perhaps more productively, as negative examples. For me, the greatest utility of these recipes often comes less in following them exactly than in figuring out where they can be varied, whether substantially or in detail. So I have a bunch of bletting medlars in my kitchen, but no useful medlar recipes.... haul out the old copy of The Joy of Cooking and I look for variations: medlar in place of pumpkin in pie, in place of banana in nut bread, and in place of persimmon in pudding. Likewise, Brant's cookbook provides similar openings for innovation in the orchestra. So, I've initiated a project — the details of which will be hush-hush until the end of January — which involves at least 18 composers and an equal number of ground basses. For my own contribution, I decided to compose first and notate later, getting the music I wanted in my ear, mind, hands, and tongue (it's wind music) before committing it to paper or monitor, as a way of increasing discipline in a musical environment that is, for me, both so rich and so familiar that going on auto pilot and just writing something out was simply too easy. (Sounding easy, which I might want, is not the same as composed easy, which I don't necessarily want.) At the same time, knowing that I was going to commit some notes to paper put a powerful — and powerfully useful — constraint on my paper- and screenless composing, in that I was not going to accept just some more noodling-around-out-of-habit improvisation. When it came time to notate, this discipline had turned into a serious commitment to each note, a need, even, to believe in each note before drawing it on a page or clicking it into the data file. Perhaps most symptomatic of this is the fact that I couldn't bring myself to copy and paste anything, not even the repetitions of the ground bass. If that ostinato is going to remain obstinate, then I damn well want to mean it, and if that ground bass starts to get a little less grounded, then I'm taking full responsibility. Christopher Shultis has a terrific post about interpreting John Cage's work for amplified plant materials, including a pod rattle and, typically, cacti, Child of Tree, here. "Interpreting", in this context, means not (or, at least not in a conventional sense) following a score and eliciting some expressive content, but, on the basis of a set of verbal remarks, assembling the instrumentation and amplification, developing playing techniques, and devising a playing score, a project which begins with an apparently very open situation and develops, through practice, into a distinctive musical work with real constraints and recognizable features. Above and beyond the attractive richness and gentleness of the piece for listeners I don't think that it can be emphasized enough how much Child of Tree is enhanced by the project-like character of its score, drawing players into discovery of its qualities, extents and limits. The experimental tradition offers a wealth of pieces which invite or even require that players go beyond the usual level of commitment, research, discovery, development and lots of rehearsal. Pieces which require that players find or build new instruments or significantly alter or adapt existing instruments (or voices.) Pieces which require players to realize, within composer-defined processes or rules, scores for their own specific use. (In my experience, this is also very much like the experience of playing early music from original notation and/or with instruments with historically interrupted performance practice traditions.) Project-like pieces can be found in the catalogs of composers like Cage, Harrison or Cowell, or cued pieces of Wolff, the acoustic explorations begun with Lucier, and very many pieces in the verbal score tradition. (Yes it can also be a project if one decides to read Kant alongside Beethoven, the transcendentalists for Ives or Mallarmé with Boulez, and yes, many of Stockhausen's mid-career pieces were so thickly distinctive as to require a similar level of attention.) I guess the word that belongs here is "engagement", though which the player and piece become intimate. And while audience may not be party to that intimacy, it's been my experience that audiences can reliably recognize an engaged performance as a qualitatively better performance. And while many a Cage work will ultimately require a kind of detachment in playing (or listening, for that matter), I suspect that you can only reach that detachment through deep and sustained engagement. There has been so much material about John Cage online of late that it is difficult to sort through it all. Let me just point to two very smart items, this, by conductor and percussionist Steven Schick, and this, by composer and critic Matthew Guerrieri. I'm singling these two out because they both focus on Cage's work in perhaps its most critical moment. There is a tendency — due more to later Newmusicland politics than to the music itself in its own era — to disassociate Cage's project from the larger avant-garde musical project of the time, in particular accentuating the differences and distances from both the post-Schoenbergian American 12-toners and the European serialists. Recovering those connections does not mean ignoring the differences (indeed, those differences — Cage and Eastern thought*, Babbitt and positivism, Boulez and French literature, Nono and romantic Marxism, Stockhausen and Hesse's Magister Ludi... — are the spice rack in the compositional kitchen) but helps place Cage's work in its own legitimate post-Schoenbergian context and helps to reestablish some of the sophistication, in terms of both complexity and plain musicality, of Cage's achievement that often gets lost in an emphasis on dimensions of Cage's work which are frequently misread as naive. In a series of key works, in particular the landmarks Concert for Prepared Piano and Chamber Orchestra and Music of Changes, Cage built upon his experience with rhythmic structures (used initially in works for percussion and the prepared piano) and modes of organizing and moving through collections of materials which clearly stem from Schoenbergian techniques, with an attitude towards gamuts of materials that equally clearly reflect the influence of his other principle teacher, Henry Cowell. Cage's charts correspond directly to the row boxes or arrays of say, Milton Babbitt, and though very different in the character of the single elements, reflect as careful as compositional mind (being puzzled together under tight restrictions) and, often to my ears, through their exuberance and eccentricity, a more vivid musical imagination. 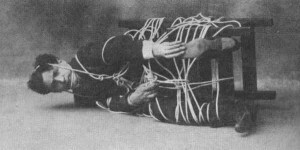 * With Cage, the Hindu and Zen strains were rather recent additions to an already rich array of spices, including his Aunt Phoebe Harvey's rhythmic patterns, Cowell, Satie, literature including Stein or Joyce or Cummings, visual artists from Tobey and Graves to Duchamp, and of course, much experience in composing and performing music for dance. My counterpoint teacher in college was a Nadia Boulanger pupil and, more than once when having his students play exercises at the keyboard, would hear as the excuse for a weak performance that one hand was weaker than the other. He would, in turn, respond with a Boulanger anecdote, saying that when she heard that particular excuse she would raise both hands, palms forward to the student, and declare that, "for a musician, there was no difference between the two." Well, then, I am a sorely deficient musician by Boulanger standards. I've recently been reminded of how profoundly right-handed I am. A small operation on my right index finger left me almost comically disabled for the past couple of weeks. Aside from all of the inconveniences of eating and personal hygene with my right hand continuously held high and immobile, my daily sight reading were out of the question — lacking a supply of interesting music for piano left hand and right fist; the trombone, which would appear to be digitally insensitive didn't work out because my thumb was bandaged so that it couldn't grip any of the other fingers, so no slide —, even modest work at the computer was a chore with it — though this may be as much due to stubborn character as the passing infirmity — a surprisingly difficult task to operate a mouse with the wrong fingers on those buttons. Everyday tasks, when suddenly done in the wrong hand, often had to be done twice or thrice to correct for the interference of habitual hand motions. My signature, done left-handed, was a infantile scrawl, refusing to seat itself with any discipline when required (a bank clerk laughed aloud at my left-handed attempt to draw money from my own account.) And, of course, blogging here took a holiday, as I had neither an index finger available to point (click, drag) to interesting reads elsewhere nor could I summon the patience to transcribe (hunt, peck) any of my usual manuscript marginalia, as I was not not putting note on paper or on the screen, making a composing holiday of it all as well. With all due respect to Madame Boulanger, and as useful as it may be to have hands which can make music indistinguishably from each other — so that, for example, a musical line can pass smoothly between the hands —, there isn't actually very much music which depends, at a deep level, on the extreme case of absolute symmetry between the hands. Most of the concrete examples are found in 20th century repertoire (think Webern, Bartok, for starters, Tom Johnson for another; inversion is very much a factor in earlier music, however, there it was typically restricted by the terms of the prevailing modality or tonality such that it was rarely exact intervallic inversion), but, to be honest, I'm not altogether certain that a performing style which smooths out the differences between left and right actually does these symmetries much service. Music is just too closely tied to the essential asymmetries of passing time and a pitch spectrum which is defined by a relationship to that time. Also this: the physical asymmetries of real people are interesting and attractive (nothing is quite as disturbing as a perfectly symmetrical face), and I suspect that when people make music, their natural asymmetries are often part of the charge of their performances. (a) Charles Chase, who owned the Folk Music Center in Claremont, California, from whom I learned much about instruments and politics and poetry, was an occasional primitive sculptor. His major pieces were a steel man and woman (the man has a full body but the woman is represented by only a face, as he wanted to avoid the typical sexualized stereotypes of the female form), still on display out back behind the shop, and it had been his ambition to partner the two with a steel hand. He never made it, though, as it was, for him, the most difficult part of the human anatomy to represent. He made hundred of sketches, but never found a satisfactory one that captured, in frozen form, the capacity of the hand for so many varied forms of motion. David Foster Wallace had a technique (see, especially, the short story, Oblivion, in the like-named collection) in which the continuity of a passage is punctuated, no, broken, by a number of asides and would-be clarifications, housed between commas, m-dashes, parentheses, or square brackets which, ostensibly in the name of precision, sometimes do indeed have that effect, but just as often create contradictions (in the case of Oblivion, revealing more about the narrator than the narrator should have intended) which may be revealingly comic or tragic and — through their intervention in the nominally principle (i.e. those not comma-, m-dashed-, parenthese'ed-, or square-bracket-jacked) text — actually do the heavy labor in propelling the narrative forward. As it happens, the short story of Wallace's in which this technique appeared to most acute (the fore-mentioned Oblivion) includes snoring (in the context of a married couple's dispute over whether or not the narrator (the husband) snores, thus disturbing the narrator's wife's sleep) as a topic. Snoring is of course a form of disturbance or punctuation in a number of continuities: the smooth passage of air through the upper respiratory system, the steady supply of oxygen to organs requiring it, the unbroken sleep of the person snoring, the unbroken sleep of anyone sharing acoustically connected space with the person snoring, etc.. Now, snoring is not the only noise which can disturb sleep (we have a persistent problem with amorous alley cats on our street and sometimes air traffic gets routed our way) but it does have a unique capacity to disturb domestic bliss, with heavy snoring having the potential to drive otherwise happy couples into extreme solutions, from earplugs and steam-punkish breathing machines to separate beds, rooms, houses, even complete break-ups, giving it an emotional edge — which Wallace uses to devastating effect — that neither the sound of heavy machinery nor those of cats in heat usually have. The topic, snoring, reminded me of a musical episode of extreme continuity interrupted by snoring. Years ago, in Los Angeles, my father took me to a USC football game in the Coliseum and afterwards, we went to the premiere performance of Morton Feldman's Piano and String quartet in the L.A. County Museum of Art, as part of the New Music America Festival. We happened to sit in the same row as the composer, who, with his entourage, was about 10 seats away from us. As you can imagine, we had had our share of sun and noise during that game, and, if you know the Feldman — or most any other late-ish work by the composer — it had an extreme continuity which my father appeared to enjoy, but in combination also happened to put him to straight to sleep. Now, sleeping during a concert is not a sin in my book, but should sleeping included snoring, it can become a disturbance for others in the audience, a violation of a basic social contract, as far as I'm concerned. And my father was a known snorer. So, I would periodically jab him to keep him from falling into a phase of sleep in which snoring might start, signaled by jaw or head or both dropping down and either constricting the passage of air through some passages or encouraging the passage through others such as to force air in or out in a conspicuously noise way. Despite my periodic jabbing — and how could I be expected to do more? I was, after all, listening to the first performance of one of the most gorgeous pieces in the western chamber music repertoire — unmistakable snoring started. (This topic ALSO happens to have resonated me personally because I went through a brief period of snoring, which accompanied a freakishly sudden reduction of vision. I wasn't particularly concerned about the snoring, as it was usually correctable by turning my body sharply port side, which I would do when my all-so-patient and tolerant wife would nudge me out of my snoredom, but I was worried about my eyesight. A couple of eye doctors and a neurologist and some very expensive scans couldn't really explain the vision problem, but an ear, nose, and throat specialist suggested removing a cyst that had formed in a sinus cavity abutting the eyes or the optic nerve (if you're really interested, I'll get the scan out and check exactly where.) The ENT specialist's intuition proved correct and my vision was basically restored to its normal level of correctable myopia. As a bonus — to both myself and my wife — the snoring stopped and I became able to sleep, for the first time in memory, on my back, as well as port and starboard sides. And, as another bonus, I guess, when I woke up from anaesthesia, the specialist reported that all had gone well with the cyst and that, while he was at it, he had repaired my broken nose. I replied that I had never broken my nose, and he answered that yes, in fact, I had broken my nose, not a great break but a break all the same, but many people who had had physically rambunctious childhoods and youths had broken bones without ever knowing it. Think of it: maybe 40 years obliviously spent in the mistaken conviction that my nose had never been injured, suddenly shattered.) But to my relief, the snoring that interrupted that marvelous continuity of delicately semi-consonant chords played by Aki Takahasi and the Kronos Quartet did not come from my father, seated to my jab-able left, but — some 10 seats to our right — from the dozing composer himself. Tonality is a normative order. I was recently roped into playing trombone for small local music-making and, out of practice, grabbed the nearest sheet music which happened to be Telemann's set of 12 Fantasies for transverse flute without bass accompaniment. Not really trombone music, but they're great fun all the same, just add the right clefs and key signatures to get a working transposition, and you're ready to go. 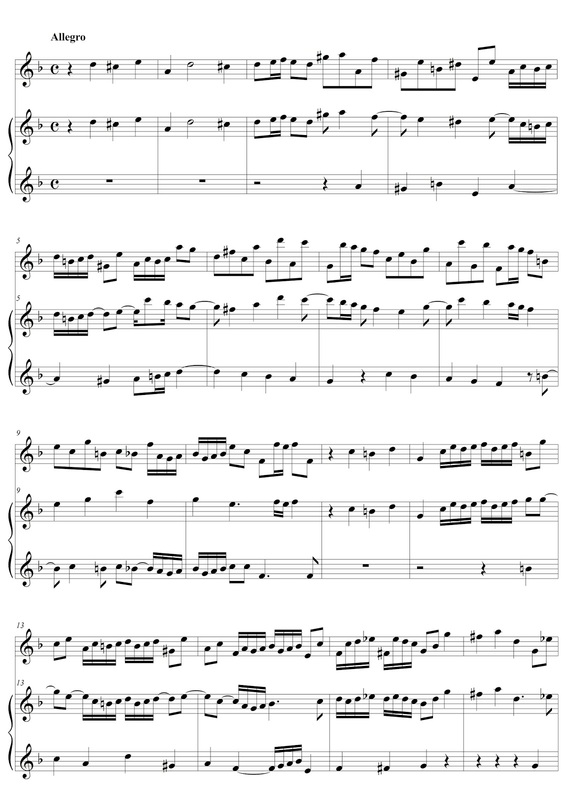 While I was at it, I found that couple of them made even better recorder pieces, and I've enjoyed playing them with tenor, voice flute, and altos in f and g, each with optimal transpositions of their own. One of the interesting features about the set is that it includes movements which are polyphonic, including fugues and a passacaglia. Now, putting multiple voices (in this case, two) together in a composition for a monophonic instrument requires a minor amount of technical legerdemain, involving some omissions in one or another voice, careful use of registers, and some arpeggiation of vertical sonorities. In playing such a piece, I find it very useful to sort out, roughly, the separate voices and sometimes this reveals interesting ambiguities — for example, is a set of running eighths alternating between registers arpeggiation of an implied series of quarters or is it syncopation? 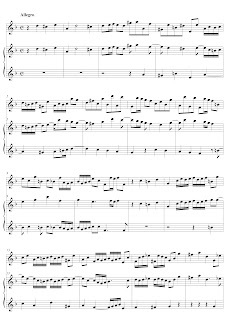 (The illustration at right, click to enlarge, is Telemann's single line score above two lines with my provisional division of the voices in the Fugue in the 5th Fantasie, with details — elided notes, for example — just beginning to emerge in my analysis.) Issues like this are hard to resolve, and personally, I like to err on the side of preserving an ambiguity rather than settling matters altogether, so playing, for me, involves creating a dynamic balance between the segregation and integration of the two voices. Ron Silliman, whose blog has become my one stop shop for contemporary and experimental poetry, points to a recorded 1954 talk by poet Josephine Miles on teaching poetry. Miles was an important figure in the Bay Area, and was, from her tenured chair (later University Professorship) at UCB, the academic point of contrast or even pendant to Robert Duncan (on one hand) and the Beats (on another). But when she was kind enough to give me a few minutes, a very long time ago when I was a Santa Cruz undergrad, it was to ask her about her Los Angeles High School classmate, John Cage. She recalled that he had wanted to become a minister and had excelled at oratory, with his high-pitched voice well-suited for public speaking (which makes sense for a time when the microphone was not yet ubiquitous to the pulpit.) In this talk, Miles recalls a high school class on the Aeneid, in which the text was read and not analysed, as a critical experience in her life. I doubt that Cage was in that class, as Cage had Greek and not Latin in High School, but taking pleasure in the uninterpreted experience of a work is certainly close to Cage's thinking, for example his work with texts by Joyce or Thoreau, so I do wonder if he had the same classics teacher for a similar course in translating a major Greek text. I don't know how much more the connection between the two can illuminate the very different work, the very different poetics in particular of the two. (Indeed, I can't imagine a greater difference from Cage than in Miles' identification of poetry as an "art of making sense.") In any case, it is an unexplored part of the biography of both artists. And it is interesting in this talk on teaching poetic composition, that Miles focuses on the making of questions rather than the production of answers, a similar focus to that of Cage, and I wonder if it might have been a shared teacher at LA High who pointed them in this direction. A video of James Klopfleisch's Unplanned Listings. An audio file of a short electronic piece by David Feldman, written in and generated by a Postscript file, btw. An obstinancy of pieces by the well-grounded Jon Brenner. A piece in 7-limit Just Intonation (well, aiming for it) by Daniel Stearns. The first performance of Robert Erickson's Cardenitas '68, a scena for solo voice and small ensemble for which he built several of the instruments used — stone chimes, stroked metal rods, tube drums. The business of downloading music made plain by David Lowery (him of Camper Van Beethoven and Cracker fame). Bottom line: money is being made, just not by the people who made the music, and you're paying for it on all sorts of ways, just not to the people who made the music. I've quickly become very fond of these two sets of songs by Charles Shere, to texts by Carl Rakosi (here) and Lou Harrison (here). The Rakosi-text'd pair are for mezzo accompanied by violin and percussion, the Harrison set of four for tenor and accordion. 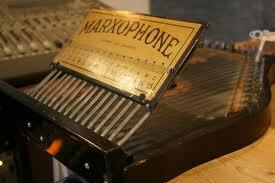 (It's always useful to have some art song repertoire accompanied by instruments other than the piano!) Both sets are recognizably within that uncanny valley in which Mr Shere's music seems to reside, composed intuitively in that space where the modern and anti-modern as well as the plain and the artful are superimposed. Playing through Shere's music, as I am like to do (his Sonata ii: Compositio ut explicatio is another long-term tenant of my piano top), I've often had both (a) the sensation of being unsure whether it belongs more to the 'teens and twenties of Stein and Duchamp and both the musical ultramodernists and Virgil Thomson (at his naughtiest) or to a somewhat more recent — and distinctively Californian — vintage, and (b) the certainty that any such distinction is, in the end, unimportant. This is deceptively simple music, the materials edging on the commonplace, but I'd reckon that the algorithm required to re-write them would almost certainly be at least as long than the pieces themselves; this is a complexity of an uncanny and irretrievable compositional context. Mr Shere was, for many years, also a critic, and an important one, and I am a constant reader of his two blogs, The Eastside View, which is mostly travel and cultural writing, an natural extension of his critical activities, and Eating Every Day, a faithful journal by perhaps the best-fed composer around (and one with an enviable personal and professional connection to that center of Californian cuisine, Chez Panisse), with some of his best writing around some deep aesthetic issues — quality, locality, tradition and innovation among them. These two sets of small songs are definitely of a piece with that writing. Are you composing? What are you up to? In principal, yes, but there are all these loose ends... There are always several projects on my desk, in various stages of progress. Some are compositional projects, others pre-compositional or even theoretical. One compositional project is, in principle, finished, a piece with a very large number of possible realizations through combinatorial excess, but I've decided not to let it go until I've played through a number of those realizations to my own satisfaction, which has meant picking up the clarinet for the first time in decades and seeing if the music lies under the fingers well. One "theoretical" project was a fictional reconstruction of tonality in which, depending upon the number of active voices, everything depended upon minimal voice leadings from the three perfectly even divisions of the octave. My constraints turned out not to be limiting enough and the whole system fell apart under the sheer number of possible voice leadings. Another theoretical adventure treated moves across tonal manifolds (or lattices) as optimal transportation problems, which still seems to me to be a good idea, but the math required to be comfortable with the optimal transportation literature is still beyond me. * Such projects, even if they ultimately fall apart on you, at least keep the mind nimble and very often help, if only in details, in getting work done. (Learning about Gray Codes (and Beckett Grays in particular), for example, even though I can't really follow the mathematical literature, has provided me with a really useful formal resource which I've used in at least a dozen pieces to date, sometimes overtly, for instance to control the scoring patterns in a piece, more often hidden (you hide, they seek.)) One larger project of the past three or four years has been a search for a libretto; texts have been read and re-read, considered and re-considered as musical material, and even some sketches have been made: divisions into scenes and acts and songs and not-quite-songs, and voice types and instrumental resources. But most ideas eventually get tossed for one reason or another. I've wanted to work with an existing text in the public domain, to avoid the complications of securing rights (the librettist for my puppet opera passed away before the music was finished and working with his estate has not been particularly easy.) But existing texts have their own problems, not least because setting something dramatic to music usually requires a massive reduction in the volume of a text, to a fraction, say a third or less, of the original. Maybe one reason why literary masterpieces seldom recommend themselves to setting to music is that they are just damn hard to slim down — you want to save all your favorite lines, even when they get in the way of wherever the music needs to go. I've made the problem harder in that I'm determined to do something comic rather than historical or tragic, and comic dialog has to move along and that I have some fairly experimental musical ambitions that I'd like to try as well. I'm now fairly certain about the source text I'll use and have already edited the text for the first act and started sketching a pair of scenes to use as a trial balloon. Following loose ends keeps you busy and also keeps you looking forward: composing is always about the next piece. * I came across optimal transportion problems through the work of mathematician Cédric Villani and then again, when Francis Spufford's remarkably odd novel Red Plenty, pointed in the direction of the mathematician and economist Leonid Kantorovich. The future just ain't what it used to be, and when older visions of the future are more attractive then the present reality, our choice is either disappointed resignation or to do the hard labor of imagining an alternative. (Personally, I'm always disappointed when I go to an orchestral concert because the orchestra, in many ways, stopped developing technologically just before the suggestive bits of preposterous steam age technology could flourish as instrumental designs... in my heart of hearts, with my own future of music being somewhat more retro and steampunkish than, say Stockhausen's or Varese's, I really want orchestral instruments to look like Ophicleides and Marxophones and Dr. Seuss's most preposterous horns and fiddles and harps. "The growth of administrative work [in universities] has directly resulted from introducing corporate management techniques. Invariably, these are justified as ways of increasing efficiency and introducing competition at every level. What they end up meaning in practice is that everyone winds up spending most of their time trying to sell things: grant proposals; book proposals; assessments of students’ jobs and grant applications; assessments of our colleagues; prospectuses for new interdisciplinary majors; institutes; conference workshops; universities themselves (which have now become brands to be marketed to prospective students or contributors); and so on. As marketing overwhelms university life, it generates documents about fostering imagination and creativity that might just as well have been designed to strangle imagination and creativity in the cradle. No major new works of social theory have emerged in the United States in the last thirty years." Simply substitute the name of your favorite musical institution " for "university" in the above text, and you'll get a pretty good synopsis of my own diagnosis of music's ongoing difficulties. Music (name your genre: classical, modern, contemporary, experimental, film, pop, rock, punk, folk, country...) is not dying, it will continue always, to change over time and survive in interesting ways, but its institutional support structure is under stress and, too often for the good of music, threatens to more often silence musical creation and performance than support it. It is particularly painful to watch the musicians take the brunt of restructuring and even dismantling of opera houses and orchestras while the managers can command ever higher salaries and bonuses. * The use of this particular tune has been much maligned, especially by those in the pro-complexity camp. However, I'm not entirely convinced that the Shaker notion of "simple" here, in the context of a sublimating sacred dancing tune, can be readily mapped to our everyday contemporary use of the term.